We are excited to share a few words written by Erbin Crowell, Executive Director of the Neighboring Food Co-op Association (NFCA) and local expert on cooperative business. Erbin was a huge help to the Real Pickles Co-op founding group as we forged ahead with our transition to a cooperative structure. He earned his Master of Management: Co-op & Credit Unions from St. Mary’s University in Nova Scotia and serves on the boards of the National Co-operative Business Association and the New England Farmers Union. He lives in Buckland, MA, with his partner Kristin Howard and their son Elias, and may be contacted at erbin@nfca.coop. It’s been about five years since I first sat down with Real Pickles’ cofounder Dan Rosenberg at his home in Montague, MA. As he considered the future of his company, Dan was interested in knowing more about the co-operative business model and its potential for preserving Real Pickles’ unique mission over time. For my part, I wanted to better understand the perspectives of entrepreneurs like Dan who were uncomfortable with the traditional paths of business succession. Could co-ops offer a viable alternative for business owners who see success as defined more broadly than just the bottom line? My partner Kristin Howard – now Real Pickles’ sales manager and a founding worker-owner – and I had recently left Equal Exchange, a worker co-op and pioneer in fairly traded products, where we had been member-owners for a combined two decades. My experience developing new initiatives within a rapidly growing co-op had been profound on a personal level. It had also demonstrated to me how co-ops could have a dramatic impact on the economy by working together across the food system. I wanted to be part of making the experience available to more people, and growing the wider co-operative economy. This path had led me to studies in co-operative management and work with organizations including the Co-operative Fund of New England, the Valley Alliance of Worker Co-ops, and finally the Neighboring Food Co-op Association. A basic challenge for the co-operative movement is that it has been largely overlooked by universities, economic development organizations, and local governments. It is easy to go through one’s academic career without learning anything about this business model, despite the global impact of co-ops. When young entrepreneurs seek out support for starting or growing a business, the co-operative model is rarely offered as an option. Basic legal and financial support is weak at best. And yet, co-operatives have succeeded. For example, more than a billion people around the world are co-op members — more than directly own stock in publicly traded corporations. Co-ops also employ more people than multinationals. And in the quest for food security, co-operatives have been recognized as lifeline for small farmers and consumers in the developing world. In recent years, co-ops have been recognized for their performance during the global recession that began in 2008 and continues to cause massive unemployment, dramatic shifts in wealth and austerity. Co-ops have proven extraordinarily resilient during this period, preserving jobs, wealth and community infrastructure. And their global contribution to human development, poverty reduction and sustainability led the United Nations to declare 2012 the International Year of Co-ops. In addition to being driven by a distinct set of values and principles, the co-operative legal structure prioritizes social needs and goals above the accumulation of profit. Based on the principle of one member, one vote, co-ops are very real examples of the kind of economic democracy that people are clamoring for in the wake of this global recession. Food co-ops in our region are an illustration of the potential of this model. 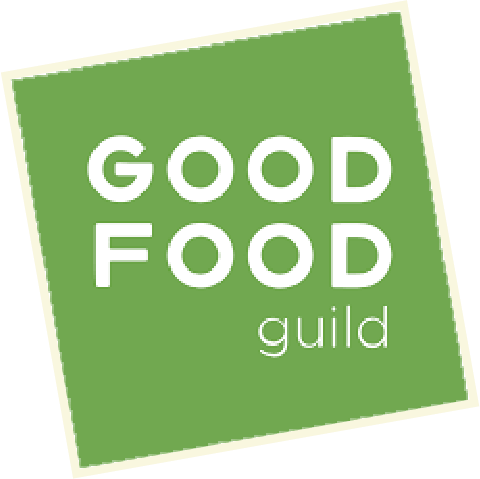 For the past three years, I have served as executive director of the Neighboring Food Co-op Association (NFCA), a network of over 35 food co-ops and start-ups across New England. These are community businesses, locally owned by more than 80,000 people. Success is not measured by investor dividends, but by factors such as environmental impact, benefits to members, and employment. 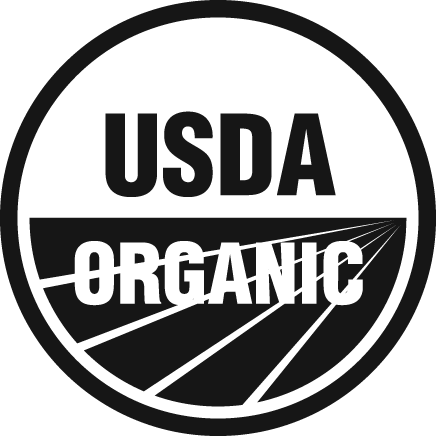 Because they are not focused on maximization of profit, co-ops have been innovators in the food system and pioneers in healthy foods, organic products and Fair Trade. Food co-ops have also been leaders in the re-localization of economies, illustrated by the fact that the members of the NFCA purchase over $30 million in local products each year. In communities across our region, food co-ops serve as anchors for local producers and as places to experiment with new products. However, a central challenge for food co-ops, and for the “buy local” movement in general, is that the purchasing power we invest in the local economy does not always stay in the community. For example, our members and customers have invested millions of their consumer dollars in socially responsible businesses, only to see them bought out by large multinational corporations. In this sense, local economies often serve as a testing ground for the investor-driven economy. Entrepreneurs create new products and services and those businesses that demonstrate sufficient potential to generate profits for investors are absorbed into this market economy through investor buy-outs, initial public offerings (IPOs) or purchase by a larger corporation. As a result, the capital, creativity and infrastructure created by local entrepreneurs are extracted from local communities, and the stakeholders who helped create that market value are left behind. Another challenge for the local movement is business succession. What happens when an entrepreneur decides to retire or simply move on to something new? As we invest our consumer dollars in local businesses, are there ways to ensure that those businesses don’t fade away or get sold to corporate interests? Is there a way to engage other stakeholders — workers, producers, consumers and the wider community — in the mission and long-term success of local enterprises so that they are more sustainable and accountable to the people who depend on them? This question has been at the root of the co-operative movement since its beginnings. In response to the concentration of wealth and control that characterized the Industrial Revolution, community activists created a democratic business model, rooted in social values, and oriented toward the meeting of human needs rather than accumulation of profit. For the first food co-ops, the goal was food security and rooting a source of healthy, affordable food in the community. For farmers, it was pooling resources to invest in the shared infrastructure needed to compete with larger growers and corporations. And for workers, it was gaining more control over our work-lives so that a company couldn’t just up and leave in search of higher profits. Certainly, these goals speak to many entrepreneurs today for whom the ideals of economic democracy, sustainability and human fulfillment are integral to their vision of success. What has been missing is a roadmap for succession that provides an alternative to the traditional corporate buyout. Real Pickles founders, Dan and Addie Rose, may have part of the answer. Five years after we sat down to talk co-ops, their company is on the cutting edge of a trend toward a new way of thinking about the basic purpose and priorities of local business. For an emerging group of entrepreneurs, conversion to a co-operative structure may be driven by the desire to root their business in the community, to safeguard their mission, or simply to share ownership, risk and reward with their co-workers. For others, “co-operation” was always what they had in mind – they just needed a formal business structure for it. In fact, some of the most successful contemporary co-ops have relied on this kind of capital to grow their businesses. Equal Exchange and Organic Valley, for example, offer investment opportunities for non-member individuals and organizations. This capital is constructive in that it is driven by social and environmental impacts as opposed to maximization of return; it is restrained because investment shares are non-voting, with control remaining with the membership; and it is stabilizing in that share value is based on cash value rather than the theoretical market valuation employed by the stock market and employee stock ownership plans (ESOPs), rooting wealth in the community. Over time, many have insisted that investors would not accept these limitations on their influence and returns. And yet, year after year these co-ops have had little trouble attracting sufficient capital to support their growth. What is particularly exciting about Real Pickles is that they have demonstrated a model in which people can invest in the conversion of a privately held business into a co-operative enterprise. Essentially, investors are using their financial resources to secure a business within the local co-operative economy, as opposed to the market economy. This represents a compelling shift in our conception of what is possible. On a personal level, it has been inspiring to work with the member-owners of this new co-op in this process. In my role as the first staff person for the Valley Alliance of Worker Co-ops, I began to see the importance of co-op led development and the potential of peer-to-peer collaboration in supporting the success of co-operative enterprises. While my primary work is now with the NFCA, there is a clear overlap in the vision of our food co-ops and that of companies like Real Pickles. Moving forward, my hope is that co-ops and local entrepreneurs will be able to see the potential in this kind of collaboration in growing the co-operative movement in our region. 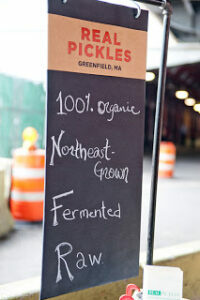 Dan Rosenberg and Addie Rose Holland have not only chosen an inspiring path for Real Pickles. They, along with the other founding member-owners of the Real Pickles Co-op, have laid a path for local business succession and the transformation of individual entrepreneurship into what would be more accurately described as co-opreneurship: creative economic development with the goal of strengthening economic democracy, sustainability, and community wealth.